At Sneha Nursery, we provide cost-effective seedlings for farmers who wish to maximize their crop production, in the hopes of improving our country’s agriculture sector. India is the second most populated country in the world, and it comes as no surprise that there’s a growing demand for food. As rural farmlands shrink and urban jungles grow, it becomes imperative for us to answer the question—how does one get maximum food production from the least possible area of land? Here, Sneha Nursery offers a fitting answer. Achieving maximum crop production is easily possible when one uses a healthy, uniform line of seedlings. 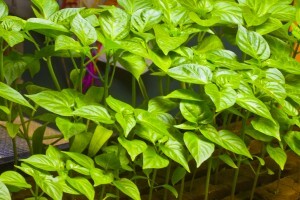 By using scientific plug production techniques to raise seedlings, we can achieve more control over the initial development of the crop. And in doing so, we pass on these benefits to the farmers. 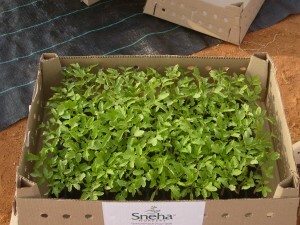 At Sneha Nursery, it is our endeavor to produce a variety of healthy seedlings using highly sophisticated greenhouses. This project reflects our vision to grow a diverse variety of vegetable and fruit seedlings under controlled conditions of temperature, humidity and fertigation. This is done in order to prevent plant losses due to poor growing conditions. We aim to help farmers in producing better yields by providing disease-free seedlings.